This allows to test the product or the desired shade. Carriage paid. Within 2 to 5 days. Our concept is very simple and requires no special skills. 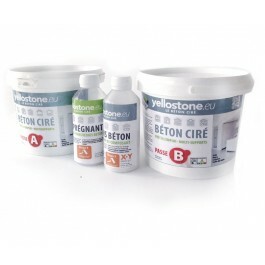 Our kits are composed of two elements: - The concrete is pre-mixed and pre-dyed in paste form. - The varnish with hardener. You can test the product in any medium. Consult the instructions for use and our application videos to familiarize yourself with the product.